December’s stats confirm that the Evergreen/Conifer real estate market is returning to normal—not a sellers’ market or a buyers’ market, but a balanced market. 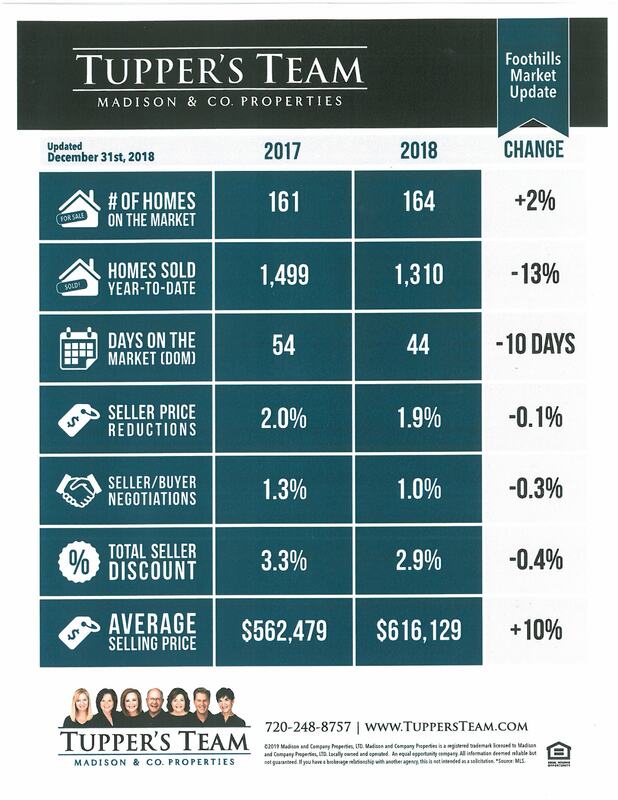 We typically expect a seasonal deceleration this time of year, but with sales down, under contracts down, listing inventory up and the days-on-market up, all numbers point to an organic slowdown. Not all price ranges are affected the same. Tupper's Team prepares a Market Segment Report every month to stay on top of activity in every price range. If you’d like to see a copy of our latest Market Segment Report, just let us know.